This is a guest post by Linda Yollis. 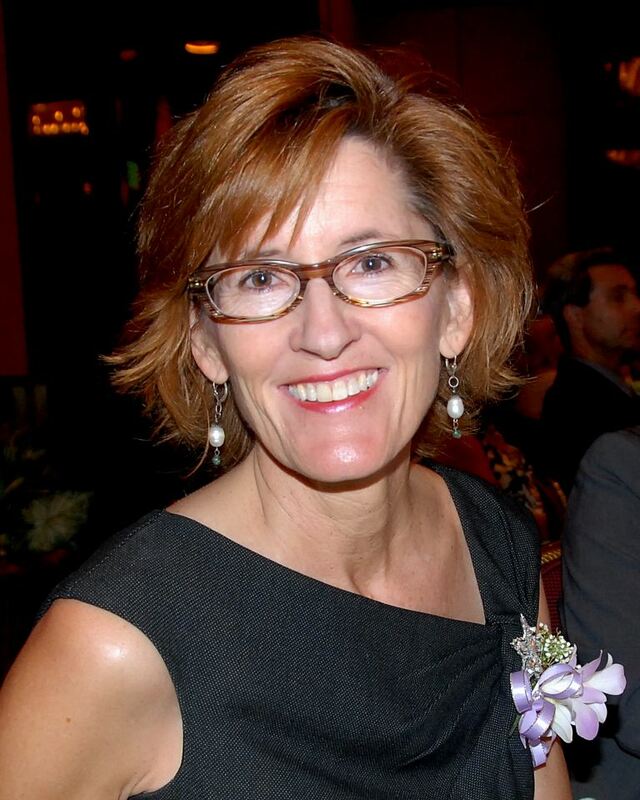 Linda is a third-grade teacher in Los Angeles, California. Linda is a role model blogger for many educators and willingly shares her insights and experiences via Twitter, conferences, and on her blog. 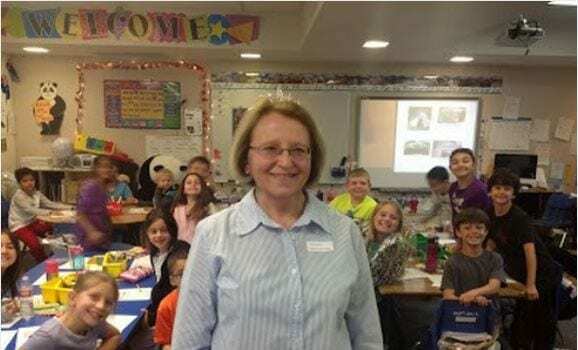 She is known for setting high standards for her students, making learning fun and meaningful, and embracing global collaboration. 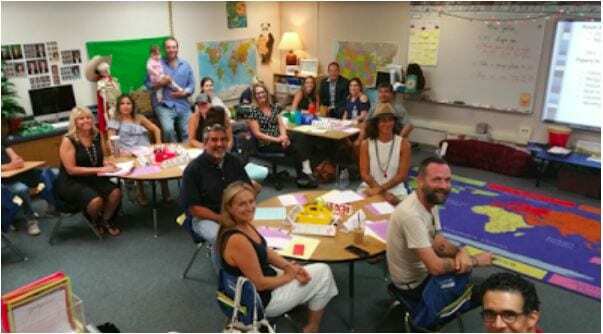 Linda is also masterful at involving families in the students’ learning. 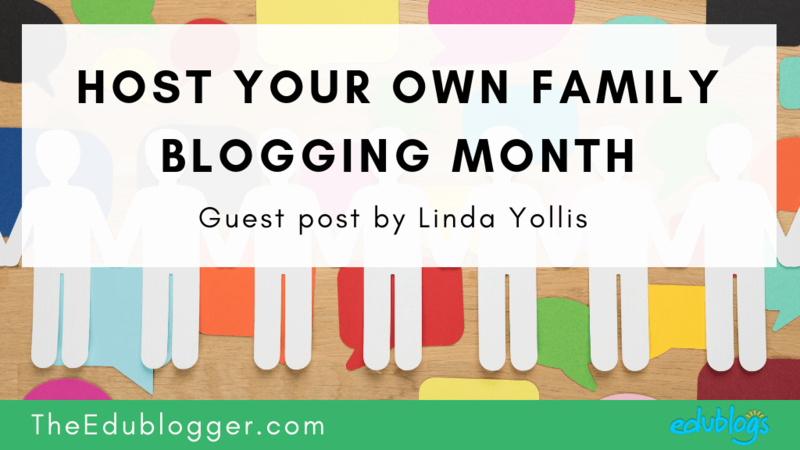 We invited Linda to share one of her most popular concepts with our community — Family Blogging Month. 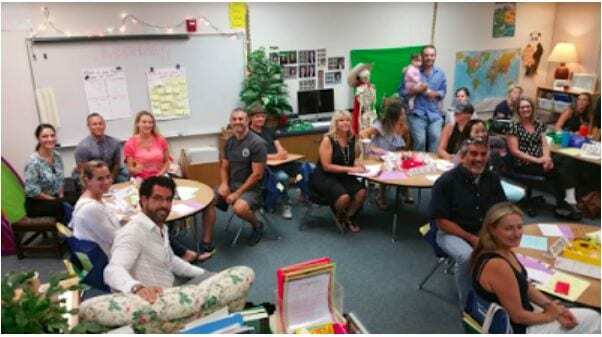 I started blogging in 2008 and quickly found it to be a fabulous way to meaningfully connect parents and other learning partners with our classroom. 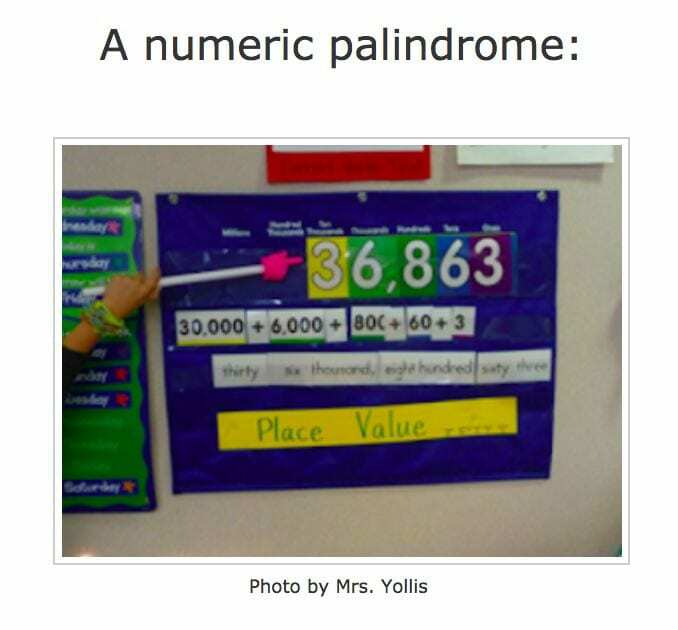 I use the classroom blog to share what is happening in our room. Everyone enjoys seeing what we are learning, but it is the comment section that I really love. 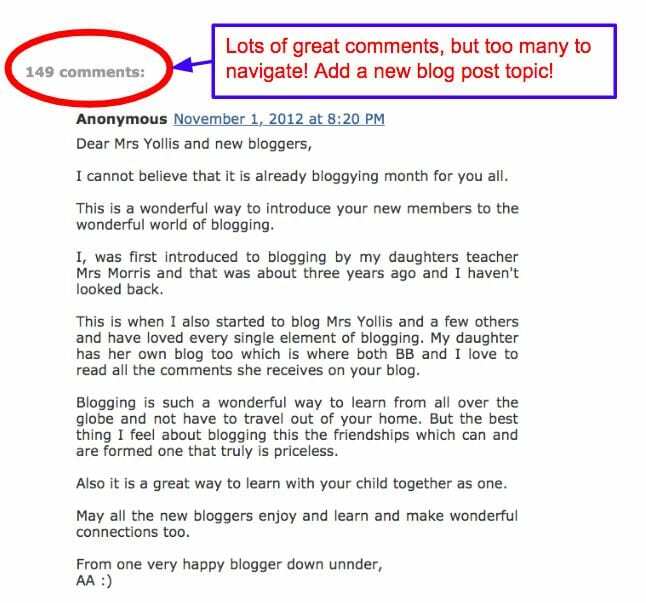 The comment section is where the blog comes to life, where learning is extended, and relationships are built. 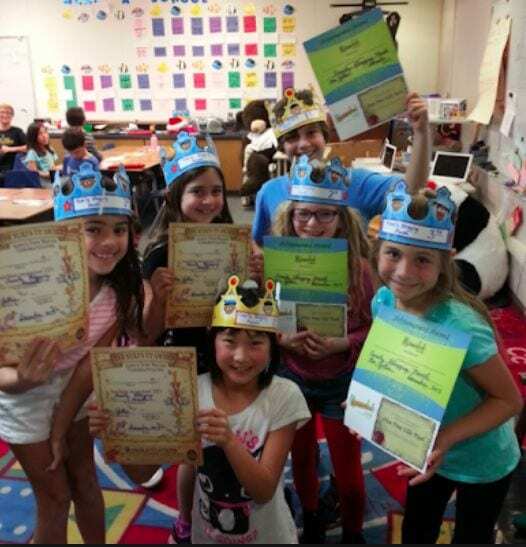 Reading and writing in an authentic way with a real audience makes learning and connecting fun! 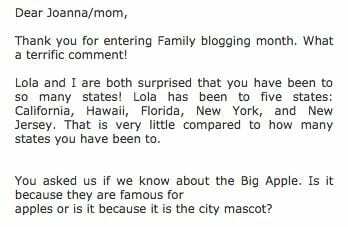 In an effort to promote blog commenting and family interaction, I created Family Blogging Month back in 2010. 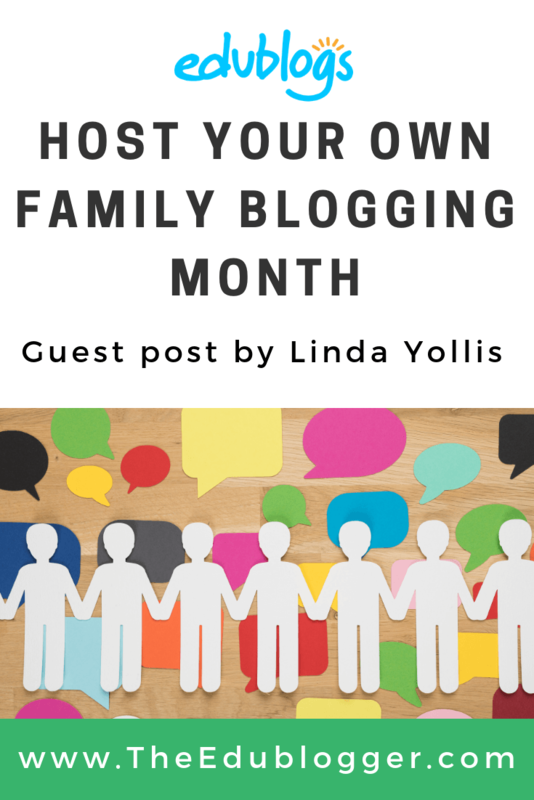 The idea of Family Blogging Month (FBM) is to encourage as many family members and friends to contribute to our learning via the comment section. FBM has proved to be a successful way to create an online learning community and build relationships. I run FBM annually in November for a couple of reasons. 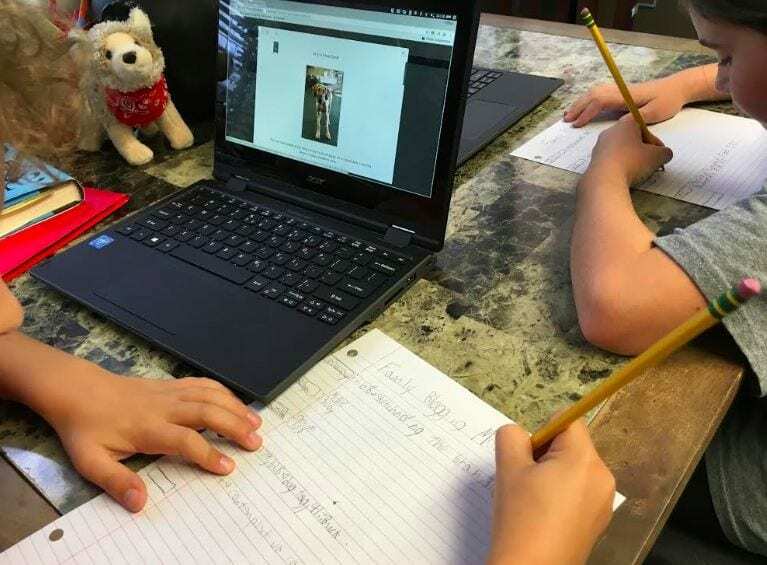 First, after being in my classroom for two months, most of my students and their families are following the blog and understand how to navigate it. Everyone seems to enjoy reading the blog, so I feel that it is time to step up the process and encourage commenting. By November, everyone is ready to level up! 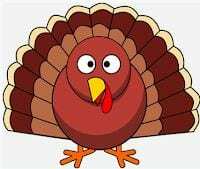 I update and publish the following blog post every year and “November is Family Blogging Month” begins! We’re inviting everyone to comment: moms, dads, brothers, sisters, grandmothers, grandfathers, uncles, aunts, and cousins. Maybe we’ll get some 2-point comments! 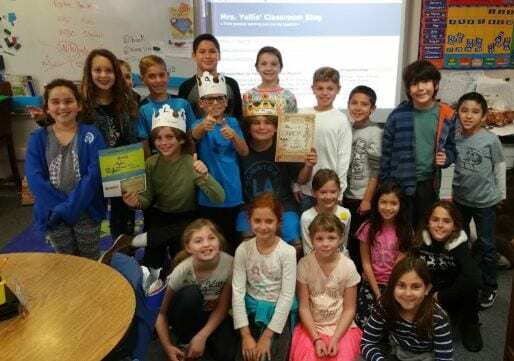 If you don’t know what to say, here is a video made by Mrs. Yollis’ third graders. If you don’t know How to leave a comment, here is a video tutorial about HOW to leave a comment on our blog. Yes, that can happen! The enthusiasm is often very high, and we end up with too many comments in our kick-off post. When the comment section gets too long, it makes it difficult to read and to follow. So, once the comment total gets too high, I start a new blog post. This directs our bloggers to a new topic. Having at least one new post per week during the month of November helps keep the comments fresh and interesting. I often come up with a new blog topic from the comment section! Here are a few ideas I’ve used over the years. 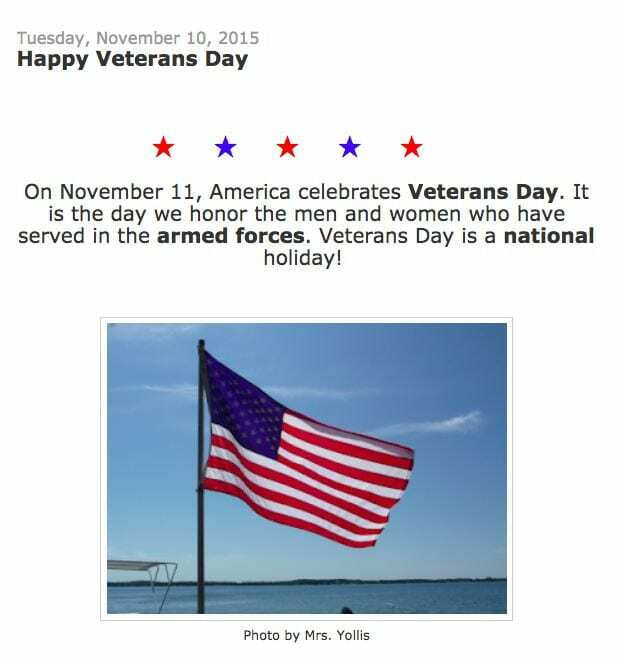 Veterans Day is in November and that has become one of the annual FBM posts. I email the parents at the beginning of November and ask them to share a photo and information about family members who are veterans. 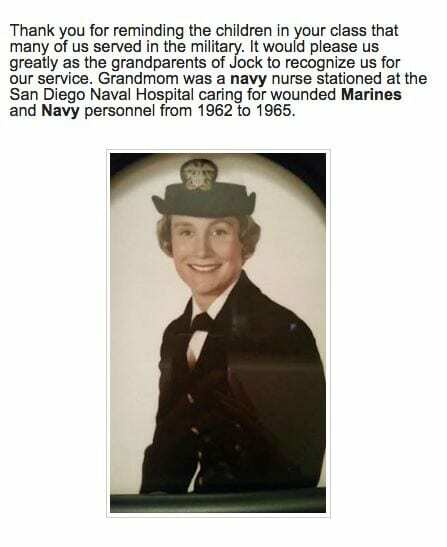 There is tremendous pride from military families. For many students, it is the first time they are hearing about their grandparents or aunts and uncles who have served our country! 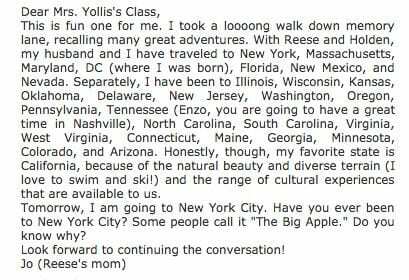 A blog comment about travel opened up a discussion about the 50 states. Soon families were counting and sharing how many states each family member had visited. Everyone benefits from the quality reading and writing opportunities that blogging affords. But I must tell you, there have been some truly magical connections made over the years. Here are just a few. 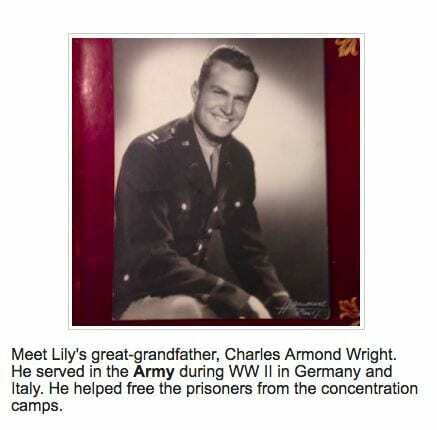 Ben’s grandfather lived in Italy and was a guest writer on the blog for a year. 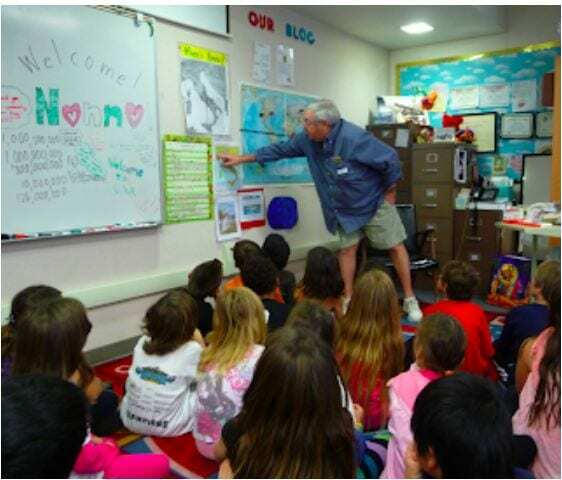 Everyone loved learning about Italy from Nonno and then meeting him when he came back to America. 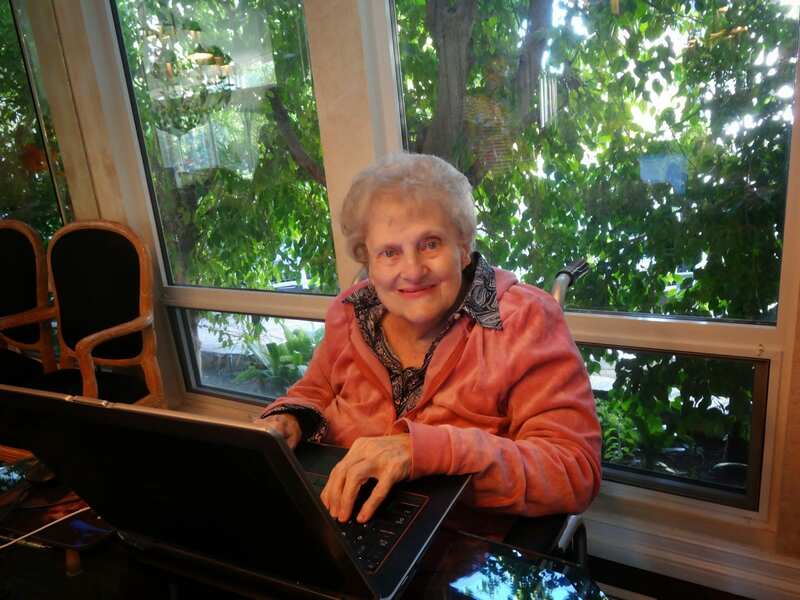 Troy, Nolan, and Faith’s grandmother has been a fantastic blog commenter over the years. When she comes to California from Wisconsin to visit, everyone wants to see her! When you publish a post, email all the parents so they know a new post is available. Provide blogging time during your ELA block. I have found that not every family participates, so a student can grow as a blogger and earn blog comments during class with their friends. 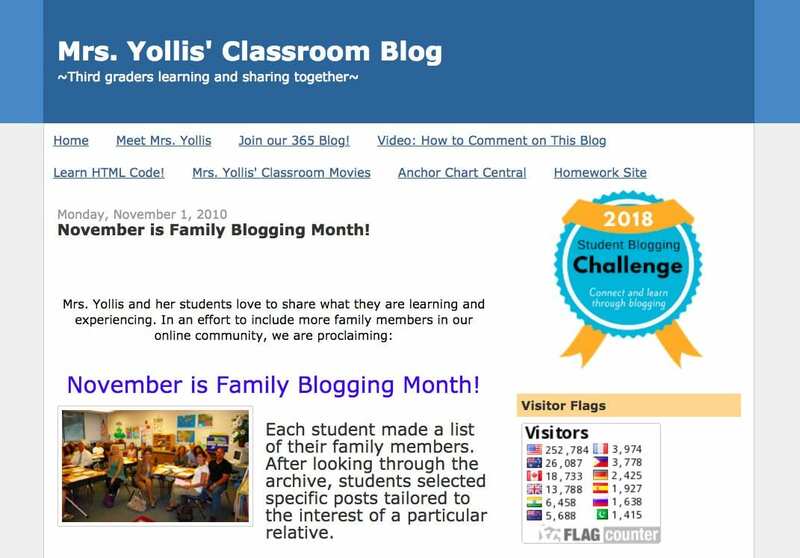 Family Blogging Month is a concept that has been borrowed and adapted in classrooms the world over. Feel free to use any of Linda’s ideas or the wording of her introductory post. Please just attribute Linda by linking back to her class blog. Do you have any more questions? Leave a comment and Linda will get back to you. 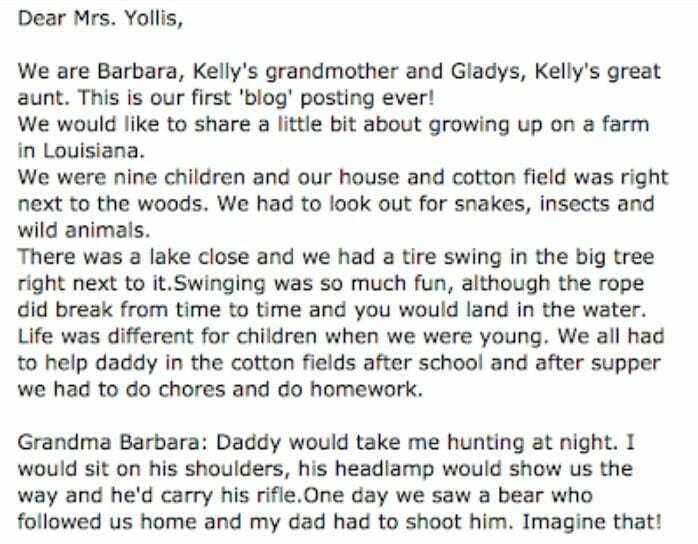 I really enjoy reading your concept of the Family Blog Month. I am a college student and major in Educational Studies. 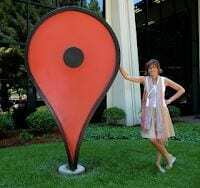 I am trying to exploring the information for my assignment which is about the professional learning communities and your post offers me a lot of ideas. Thanks for your sharing. 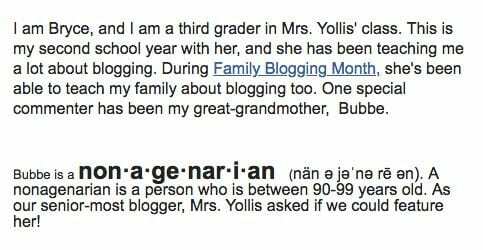 I was greatly intrigued by your class blog, especially the concept of Family Blog Month. As a fellow educator, I have read numerous educational blogs, but none have impacted me as did your blog. Your students, their families, the community involvement …. It made me want to be a part of this wonderful progression. You have had the classroom blog for a long time, 10 years. How many of your former students continue to visit your class blog an leave comments? Thanks for your interest in Family Blogging Month. 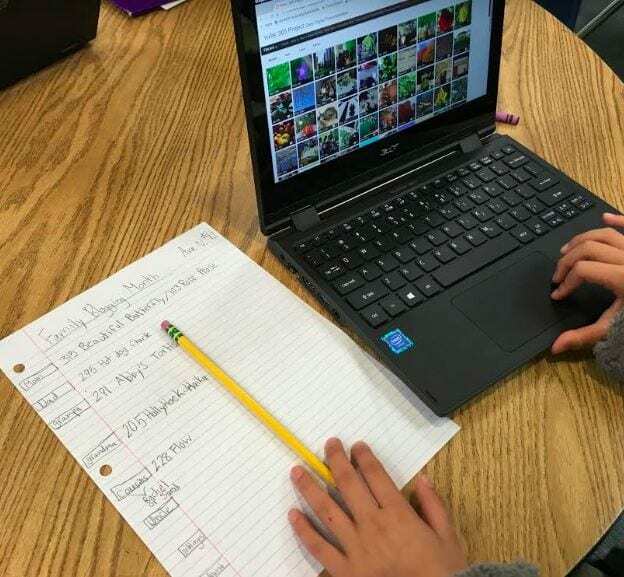 Educational blogging is a fabulous way to build the classroom community. 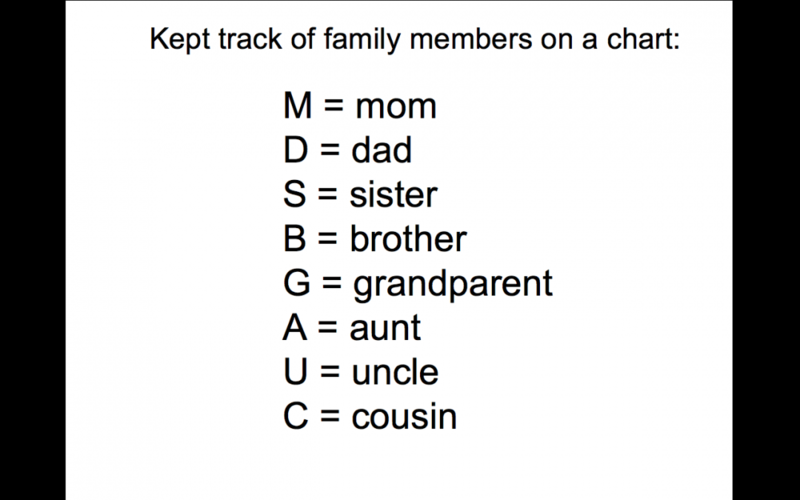 As you’ve noticed, the connections can be quite meaningful and lasting. You asked how often former students continue to visit the blog and leave comments. My students definitely love the blog, but once they leave my class, they get involved in their new class. However, the students who are still at my school (4th and 5th graders) love to come by and serve as mentors for my students. They know how to comment and they can type. It is fantastic! The mentors are starting to come during their lunch period for 10-15 minutes. Best of luck with Family Blogging Month if you decide to give it a try!